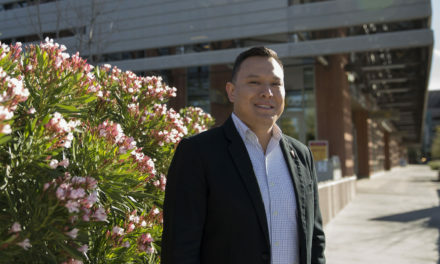 Guests flocked to ASU’s Polytechnic campus on Friday, home to the Polytechnic School, one of the six Ira A. Fulton Schools of Engineering for Night of the Open Door. 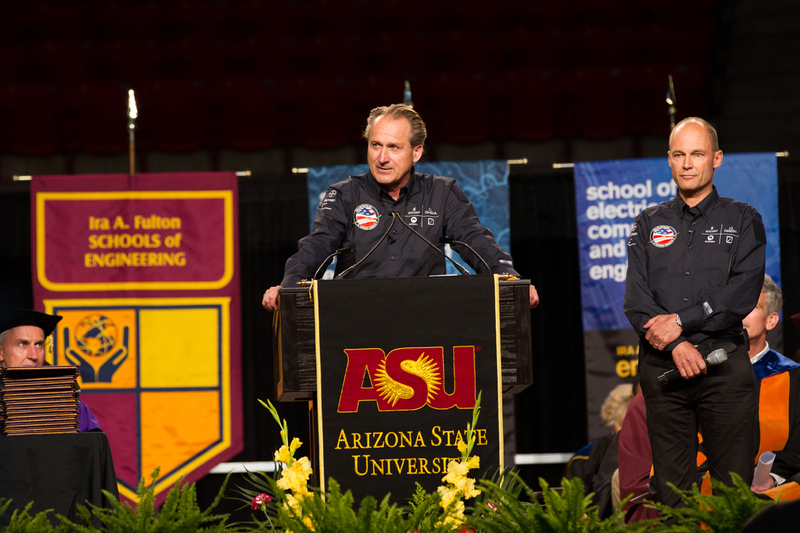 At ASU’s easternmost campus, visitors strolled around the grounds, learning about robots, photography, 3D printing and coding. 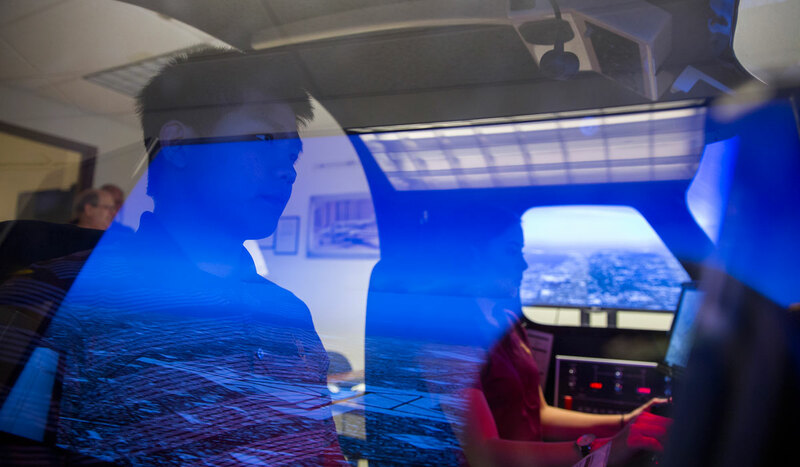 Guests were also afforded the opportunity to take virtual trip in flight simulators, witness cutting-edge manufacturing processes and saw what it takes to be an air traffic controller. 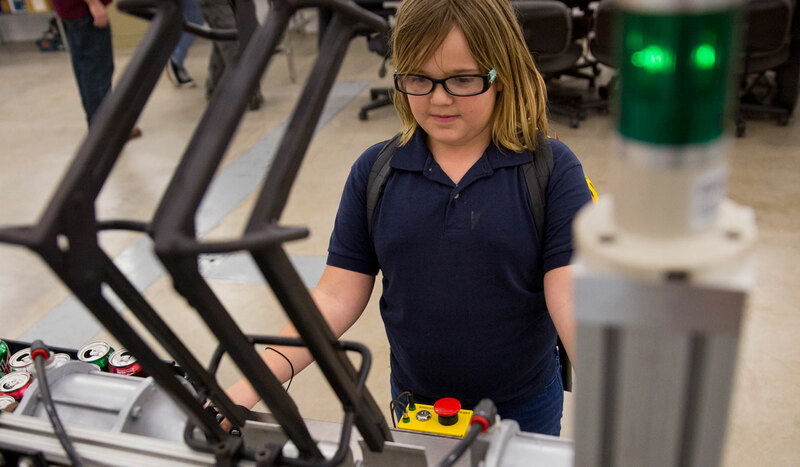 Victoria Boyd, who attends Chandler Traditional Academy, operates a can crushing machine at a robotics lab space in the Simulator Building. 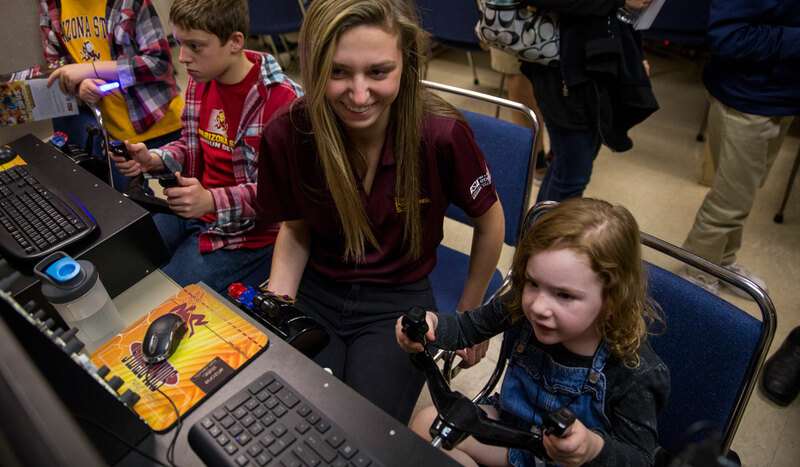 Professional Flight program students demonstrate a simulator they use in their studies to master flight to an audience of Night of the Open Door attendees. 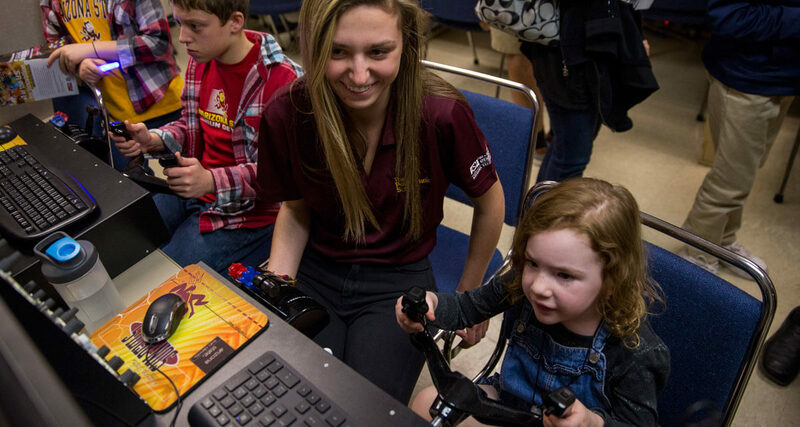 Professional Flight freshman Carlee Cramer teaches Mila Timberlake to use an instrument lab simulator they use in their program to learn the fundamentals of aircraft instruments. 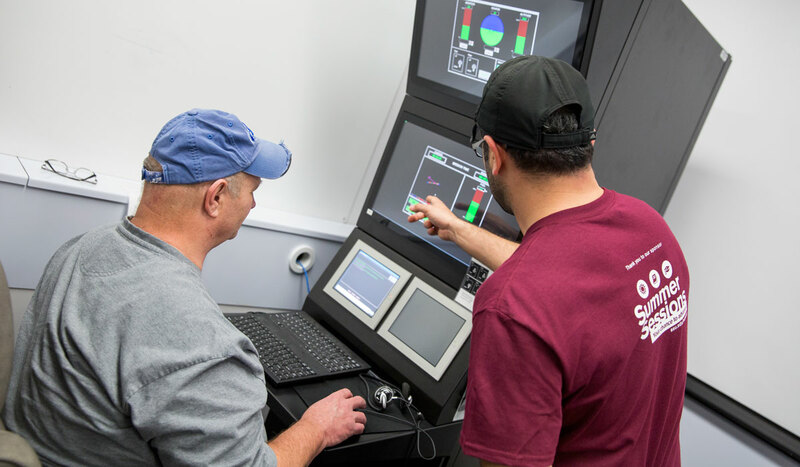 Human systems engineering doctoral student Mustafa Demir teaches a Night of the Open Door attendee to use a drone command simulator in the Cognitive Engineering Research on Team Tasks (CERTT) Lab, which specializes in human factors research to make teams more effective. 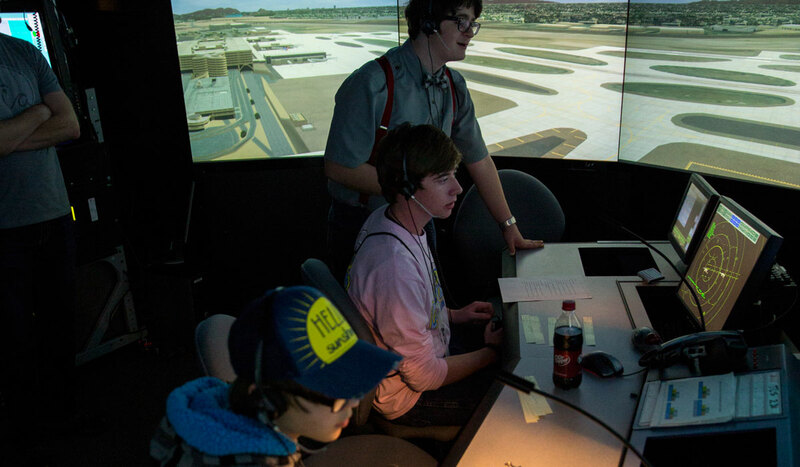 Three freshmen from Casa Verde High School try their hand at being air traffic controllers at a simulated Phoenix Sky Harbor International Airport. 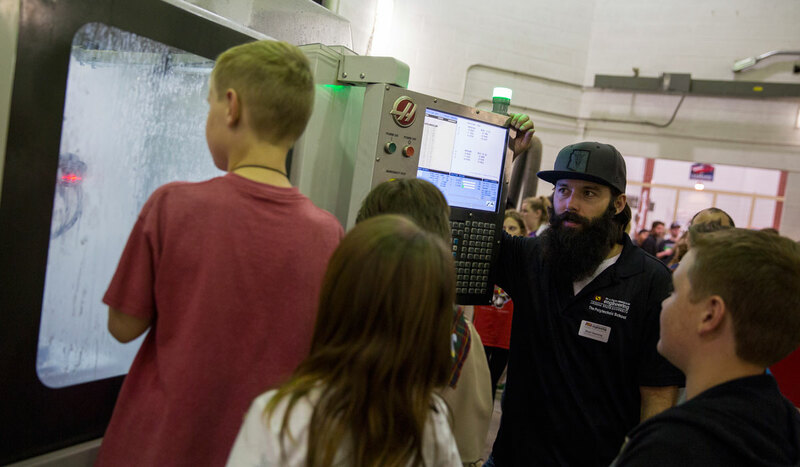 Rhett Sweeny, a instrument maker, shows a group of children a milling machine in CNC Machine Tool and Robotics and Automation Lab the Simulator Building. 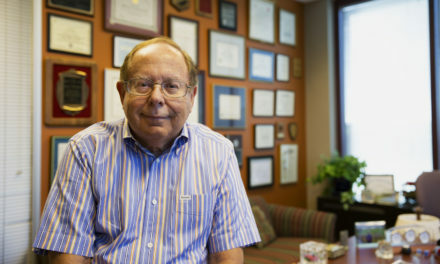 Dylan Perlman, 8, works with Information Technology graduate student Dhivya Raja to create a virus and execute a computer virus at Peralta Hall. 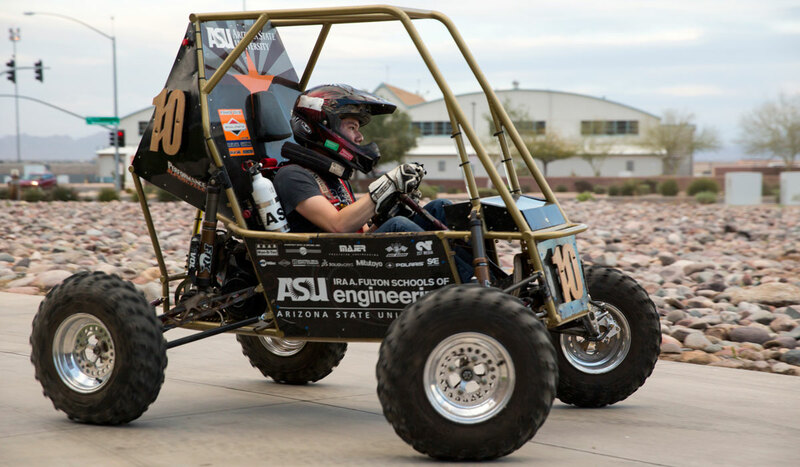 A member of ASU's Society of Automotive Engineers Baja Racing team demonstrates their vehicle to the Night of the Open Door attendees outside the Simulator Building. 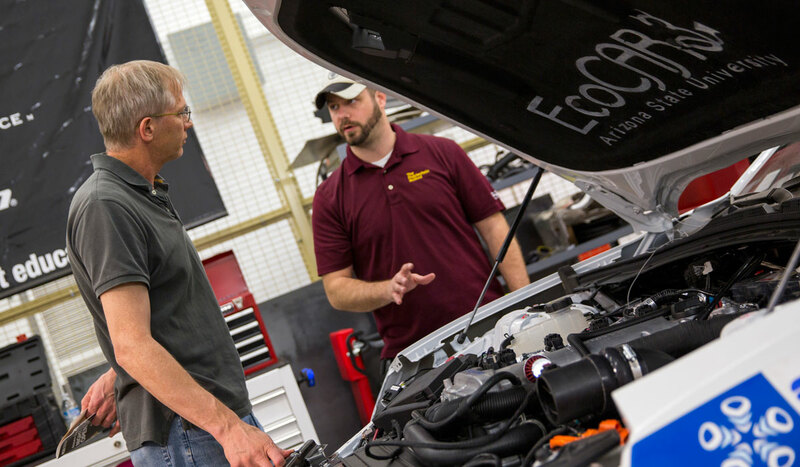 Josh Carroll, engineering team lead of ASU’s EcoCAR 3 team, talks to a Night of the Open Door attendee in front of the Chevrolet Camaro the ASU team is transforming into a hybrid vehicle for the four-year national EcoCAR 3 competition. 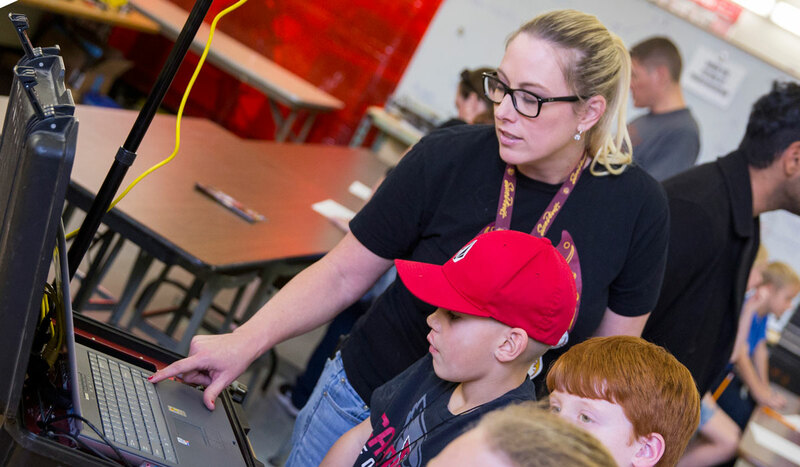 Jameson Whelan takes a turn at "Bomb Bot Basketball," controlling the Rossum Rumblers Robotics' bomb disposal robot to move a prop bomb into a basket. 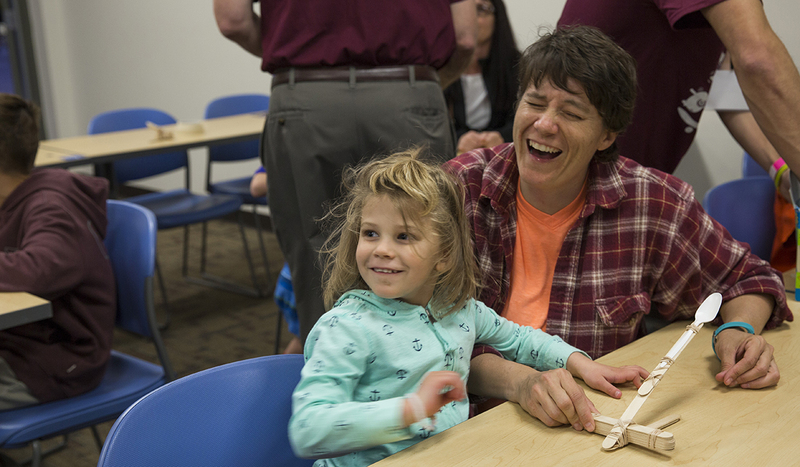 Beth Sobotka and her daughter, Evelyn, launch a catapult the pair built in Peralta Hall. 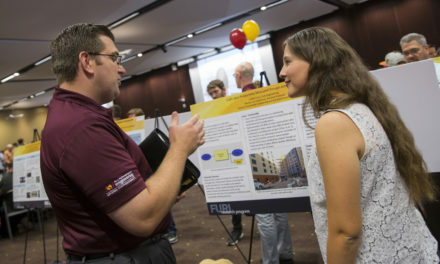 Night of the Open Door guests listen as a volunteer talks about the research and equipment in the Robotics and Intelligent Systems Laboratory on the Polytechnic campus. 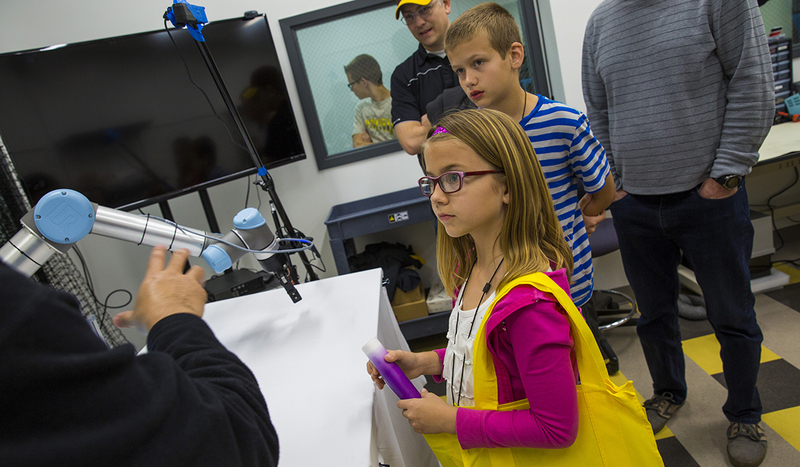 Guests get an interactive look at the capabilities of the Graphic Information Technology Commercial Photography Studio. 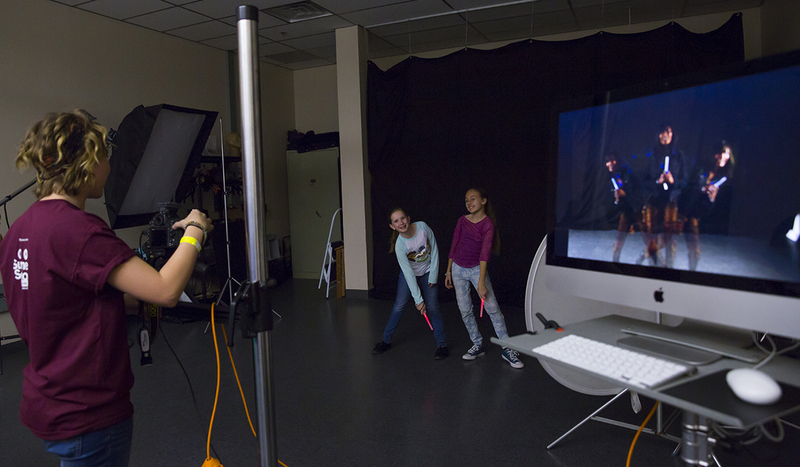 Volunteers in the studio gave guests a look at stroboscopic photography and thermal imaging techniques, among others. 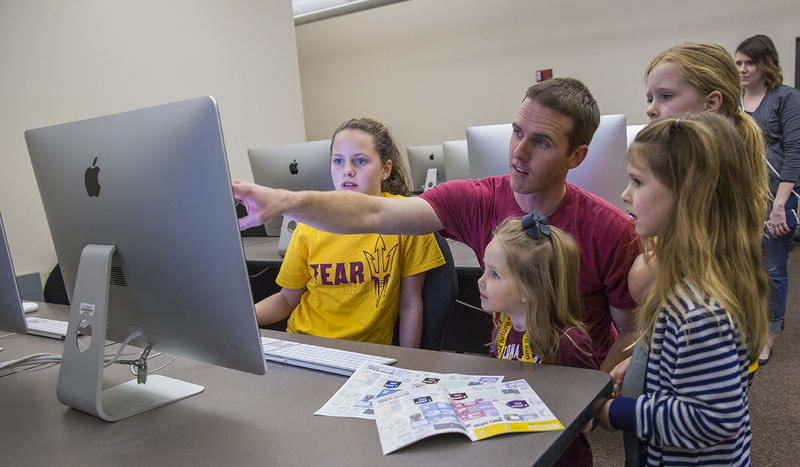 Ryan Riggs, a Fulton Schools alumni, walks Tayln Wolsey, center, and his daughters, Claire, Annie and Riley through the basics of coding, at the the Polytechnic campus' Night of the Open Door. 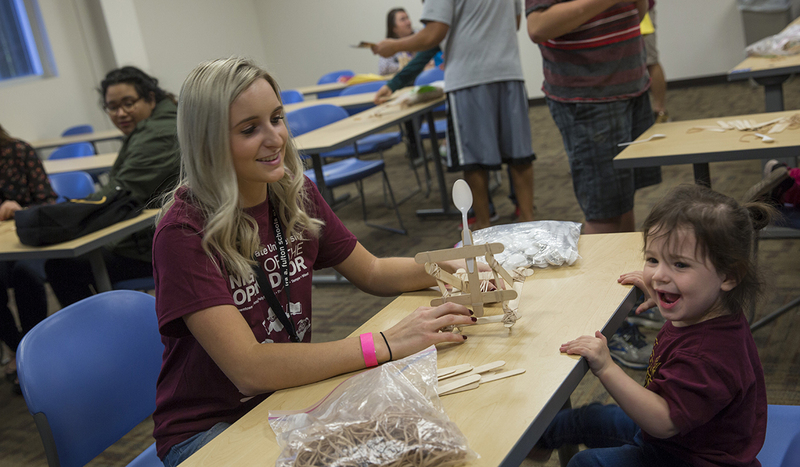 A young guest is delighted by a homemade catapult in Peralta Hall. 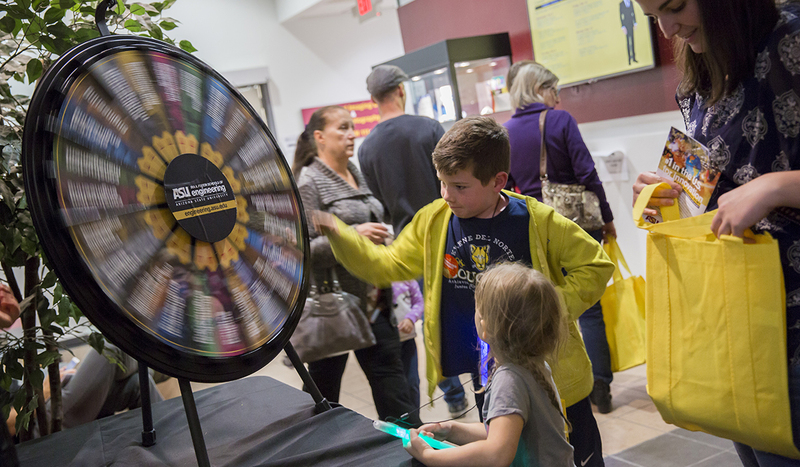 A visitor at Night of the Open Door spins the "Wheel of Destiny" to find out what engineering pathway he's fated to pursue.